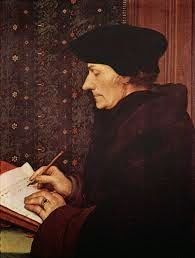 Image: Erasmus (1466-1536). This humanist scholar compiled and edited the first printed edition of the Greek New Testament in 1516, which formed the basis for the Protestant Textus Receptus (received text) of the New Testament. Last week’s Word Magazine #25, which reviewed a Wretched TV Interview with apologist James White, drew its fair share of interest. Most notably, James White himself offered a screen flow video response to my presentation on Monday, August 25, 2014. Word Magazine #26: Rejoinder to James White: Erasmus and Apologetics. Image: Bruce Manning Metzger (1914-2007). Metzger taught at Princeton Theological Seminary and wrote extensively on New Testament text criticism. 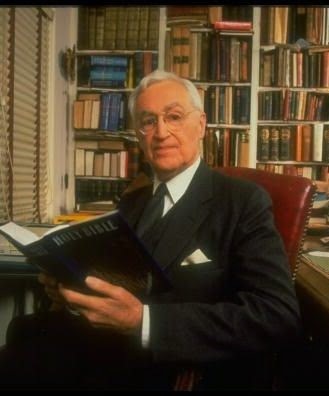 His work "The Text of the New Testament" (first published in 1964 and appearing in three later editions) has influenced a generation of pastors and scholars in explaining and championing the theories of modern text criticism. 1. JW took issue with my critique of his comments in the Wretched Video regarding the “Erasumus rushed his Greek NT to print” legend and the as yet unsubstantiated lost ending of Revelation anecdote, suggesting instead that one should consult his written work on these topics. Therefore, in this rejoinder I point to specific passages in White’s The KJV Only Controversy where he perpetuates the “Erasmus rushed his Greek NT to print” legend and the lost ending of Revelation anecdote. 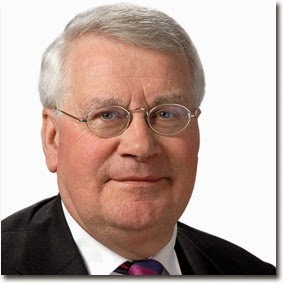 Image: Henk Jan De Jonge (b. 1943). De Jonge is emeritus professor of NT and Early Christianity at the University of Leiden. His 1980 article "Erasmus and the Comma Johanneum" debunked a long held legend regarding the incorporation of the CJ by Erasmus into the Textus Receptus. 2. JW attacked my defense of the inclusion of the Comma Johanneum (1 John 5:7-8) in the traditional text. Though this was a rather minor part of my initial review, and, admittedly, one of the most difficult parts of the TR to defend, White gave most attention to it. In my rejoinder I point to the tenacity of the CJ and its preservation in the Western church. I also noted here JW’s perpetuation of another Erasmus legend, that of Erasmus having made a rash wager or promise to include the CJ only if a Greek manuscript of it could be produced. This legend is found in White’s KJV Only Controversy, likely borrowed from Bruce Metzger, and is reflected in his dating of codex 61 as having been created in 1520. The legend was thoroughly debunked by H. J. De Jonge in a 1980 article, Erasmus and the Comma Johanneum, which even led Metzger to revise his comments on the CJ in the Third Edition of his influential The Text of the New Testament. 3. JW took issue with my challenge of inconsistency in those who attack the traditional text for its inclusion of readings with weaker external support or for conjectural emendations (like that alleged in Beza’s version of the TR at Revelation 16:5), but who make use of the modern critical text which also often prefers minority readings and suggests conjectural emendations. 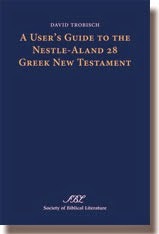 In this discussion I noted David Trobisch’s observation in his A User’s Guide to the Nestle-Aland 28 Greek New Testament (Society of Biblical Literature, 2013) that though the NA 28 editors refrained from noting conjectures in the apparatus, “this does not imply that the editors are principally against conjectures. Producing an eclectic text always open the possibility that in some cases no manuscript containing the original reading has survived. No matter how many text witnesses exist, the initial text may have been lost. Noting theoretical reconstructions of the oldest text form is good practice for editors of eclectic editions” (p. 43). Thus, I reaffirmed my contention that it is inconsistent to critique the TR as an eclectic text for editorial philosophy when that same philosophy is also reflected in the modern critical text. Image: Folio from p45, one of the famed Chester Beatty papyri whose discovery in 1930-31 marked the "Period of the Papyri" (1930-1980). 4. JW contended that one cannot possibly engage in meaningful apologetics regarding the NT if he supports the traditional text. I challenged this view, describing it as “Modern Critical Text Only-ism.” I also challenged JW’s rather odd contention that meaningful text criticism only came with the modern papyri discoveries. In response I pointed out that the major challenges to the TR came in the Enlightenment influenced nineteenth century, long before the modern papyri discoveries, citing E. J. Epp’s description of 1930-1980 as the “Period of the Papyri” (“Textual Criticism” in The NT and Its Modern Interpreters [Scholars Press, 1989]: p. 83). Thank you for standing your ground. There is no reason to think that your view isn't valid or useful when preaching and teaching the Gospel of our Lord Jesus Christ. White was looking for a chink in your armor. That is why I think he didn't address your points in WM 25. He didn't want to give you any credit or validity. It again is a marketing strategy perpetuated by his pragmatic nature. Apologetics should only be done with the desire to grow in knowledge of the truth and to share the truth with others. When it becomes a quest to win at the expense of the truth, we should repent and retire for a time until we are willing to humbly present truth with authority. We all have preconceived ideas, but should always consider that we could be wrong. This is especially true when we are confronted with evidence contrary to the ideas we are striving to keep alive. The apocryphal story about Erasmus and the CJ is widely spread trough christian academy and in many books, unfortunately. Concerning Rev 16.5 I prefer to follow the reading found in Stephanus TR instead of the Beza's Text. But I largely disagree with White's argumentation (as you pointed rightly, also the CT advocates argue with some Conjectural emendation, what makes White's argument inconsistent). Would be very helpful a book written by a reformed view in defense the Traditional text, which is distinct of the fundamentalist view of the TR (that is inclined to uphold only the Scrivener Text as the Maximum standard and doesn't see the TR as the the group of printed texts that follow the early editions of Erasmus). I admire your scholarly treatment of the subject rather than engaging in the rhetoric that these types of disagreements can so easily lead to. I still wonder what Dr. White, and those that hold a similar opinion, think of the reformers, puritans, and the framers of the 1689 2nd LBC (not to mention the church fathers), that boldly cite the CJ and wrote and preached on passages that the CT does not support. I suppose he must think them uninformed to treat such passages as inspired Scripture. Shame on them, or maybe it's shame on Dr. White for perpetuating the ploy of modern scholarship to bring into question the veracity and dependability of our Bibles today. Either way, I found your "Modern Text Only-ism" aptly comical.